If you are dreaming about the first rank of your site on Google search, wanna achieve it in short period of time then you are in the right place. From A few years ago, Competition highly increases getting top rank in Google search seems like a nightmare, this is why; getting top rank seems too much tricky. But here you can get quality and organic traffic with powerful SEO tools. To get higher rank, make your website SEO friendly you’ve to obey principal of SEO in every step you take. 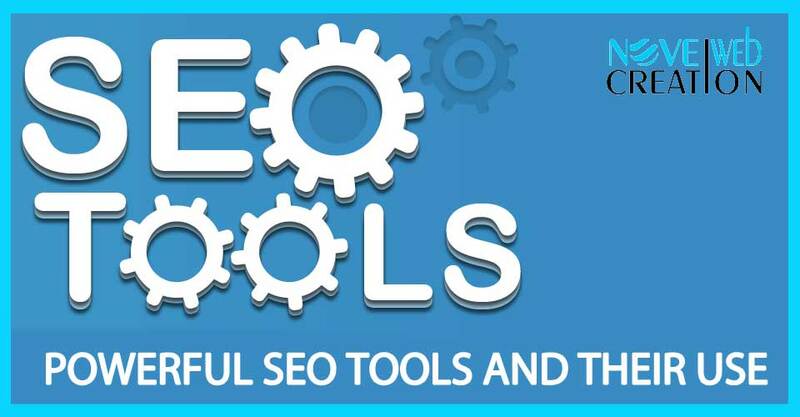 SEO tools are applications that will help you to follow the rules rigorously. SEO Analyzer: – You should do SEO Analyzer of your website within 6 months. That makes help to get know your side position with any other site in your niche. Social media impact your side ranking, backlinks and page level speed. Keyword Planner: – This help to find out keyword for articles or blogs you are planning to write. This offers a keyword with average monthly search and average cost per click as well. You can search single keyword as well long keyword you are planning to write. What are people searching for your life? Through that, you can get which articles performing well, getting traffic, what people are searching, you can frame your next content according to give them what they want. More SEO Tools for Keywords: – Keyword is the first key to be on the first-page search rank. If you are running an ad campaign then right keyword can make your campaign super successful. Keywordtoo.io: – This is very simple keyword finding tool. It lists the most profitable and highest search volume keywords specifically from Google, Bing, Amazon, and YouTube. Keyword Density Checker – This is about finding a percent of focus your keyword and respect of all the word in your content as well. It is crucial to keep keyword destiny optimal for better search engine ranking. Plagiarism Checking: – Plagiarism Checking is the way to find out, duplicate content. You can check your articles for plagiarism before publishing. CopyScape: – It is very popular web tool to find out copyright content. Here is you can find out a copy of a content.